Do you want to have a good impression of Puerto Rico? On this page you can find holiday pictures of Puerto Rico. These pictures are made by travellers. If you also have some pictures of Puerto Rico, then you can put them up here. In the adjoining block is a link to add more pictures. You can find more pictures of Puerto Rico on the region-, destination- and accommodation pages from Zoover. Do you want to have a good impression of Puerto Rico? On this page you can find holiday pictures of Puerto Rico. These pictures are made by travellers. If you also have some pictures of Puerto Rico, then you can put them up here. In the adjoining block is a link to add more pictures. You can find more pictures of Puerto Rico on the region-, destination- and accommodation pages from Zoover. Find Zoover reviews of 4 Apartement, 147 Hotels, 2 Aparthotel, 2 Bed and Breakfasts and 1 Villa in Puerto Rico. 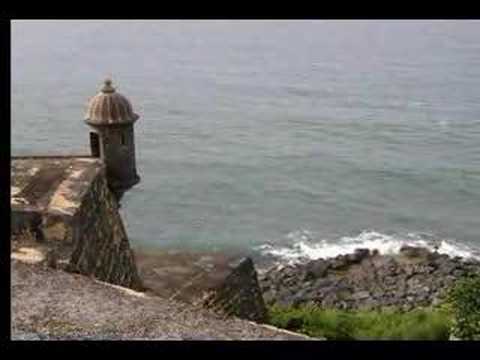 Additionally you can see 2 videos of Puerto Rico on Zoover. is the most popolar holiday area in Puerto Rico. Click on the map or in the list below for other areas. Popular day-trips in Puerto Rico are El Yunque Rainforest Half-Day Trip from San Juan.